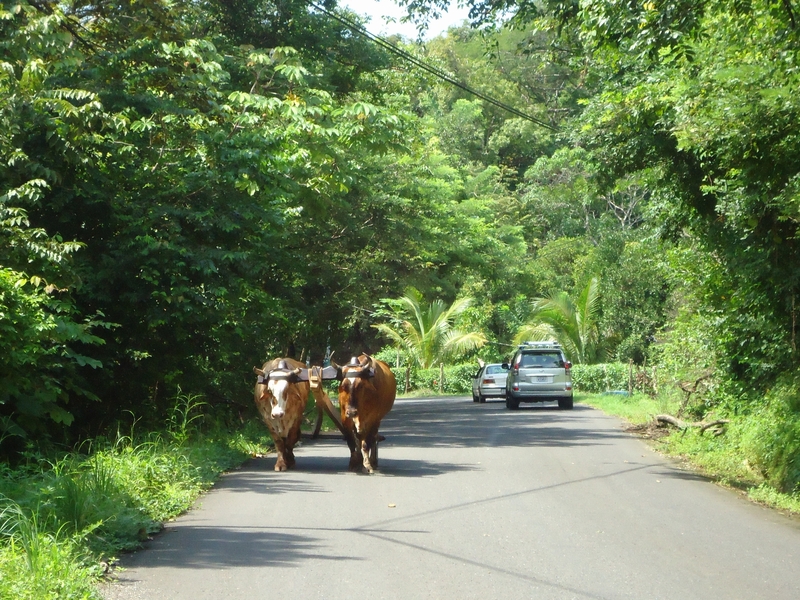 Yesterday, driving between Samara and Nicoya, we encountered these beasts walking down the road by themselves. Not a soul around. They were walking neatly down the right side of the road – safer than most kids around here – pulling their little cart. When the oxen reached a gate they simply stopped and waited. We had to assume they were used to the routine and that someone would show up soon to open the gate for them. 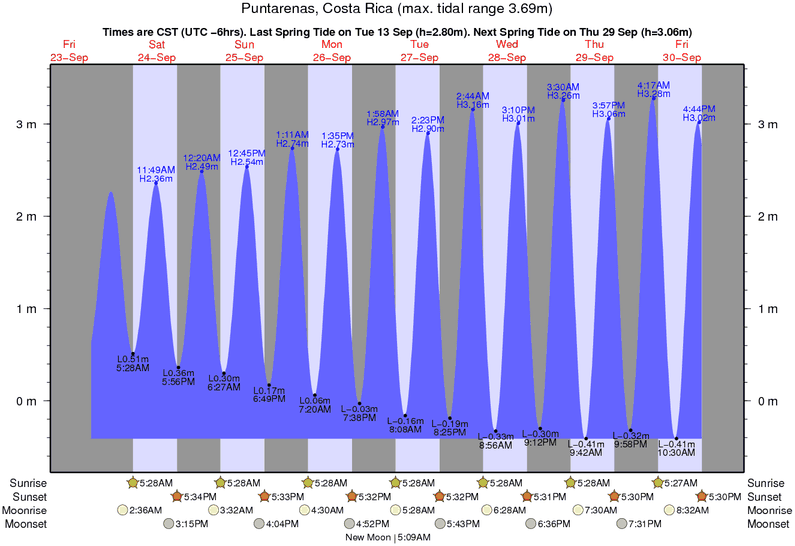 “Things that do bump in the night” is a continuing series about road hazards to be aware of when driving in Costa Rica. You never know what’s around the next corner. 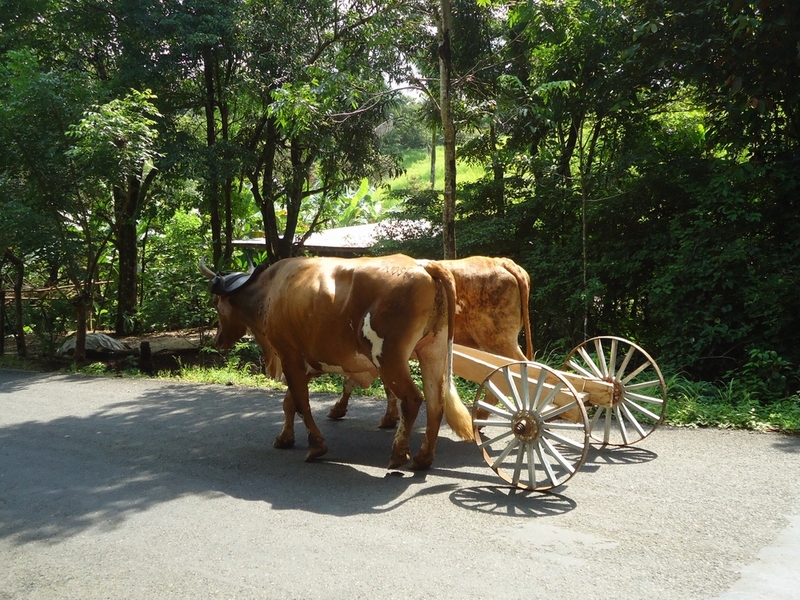 What’s the weirdest thing you’ve seen in the road in Costa Rica? Really?!! I did not know that. 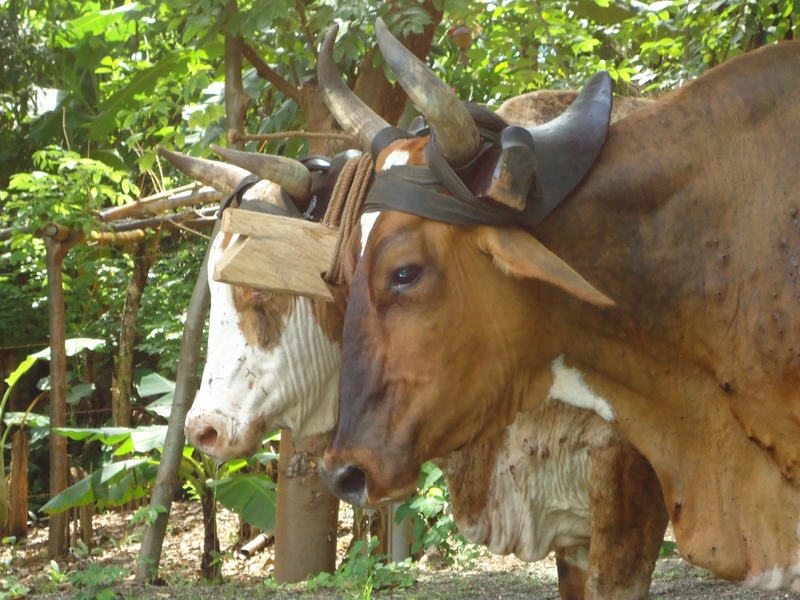 I love seeing the oxen with their carts… the real Costa Rica! However, I’ve never seen them unaccompanied!